Please note: Turun kaupunginteatteri invited me to see the premiere of Seili for free. It was a wild musical day yesterday. First, I saw Svenska Teatern's new production of one of the most successful musicals of all time, Mamma Mia! Then I got to see the premiere of Turun kaupunginteatteri's Seili. The brand-new jukebox musical tells a story about the treatment of mental patients in historical Finland, set to music by Finnish contemporary female artists. On the surface, Svenska Teatern's Mamma Mia! is everything I don't like in musicals. It's a jukebox musical. The story is overly happy, romantic goo. But that is nothing compared to the worst thing – for the first time in Finland, it's a replica production of a West End original! Ugh. So long, originality. It's a jukebox musical with my favourite band's (yes. Sue me) songs. The plot with the wedding and the three possible dads... It's fun, I guess? And that is nothing compared to the most important thing – it's a replica of the first musical I ever saw and loved. How could I be very critical towards the very thing that started an interest that now shapes my whole life? I can't lie. It was so much fun sitting in front row centre yesterday, listening to ABBA being blasted at approximately 150 dB at me for two hours. Just like when I was 14 years old and the world tour visited Finland. Though back then, I sat a bit further back. Svenskan's MM! flows perfectly. Of course. The director Paul Garrington has directed the show a dozen times all around the globe. 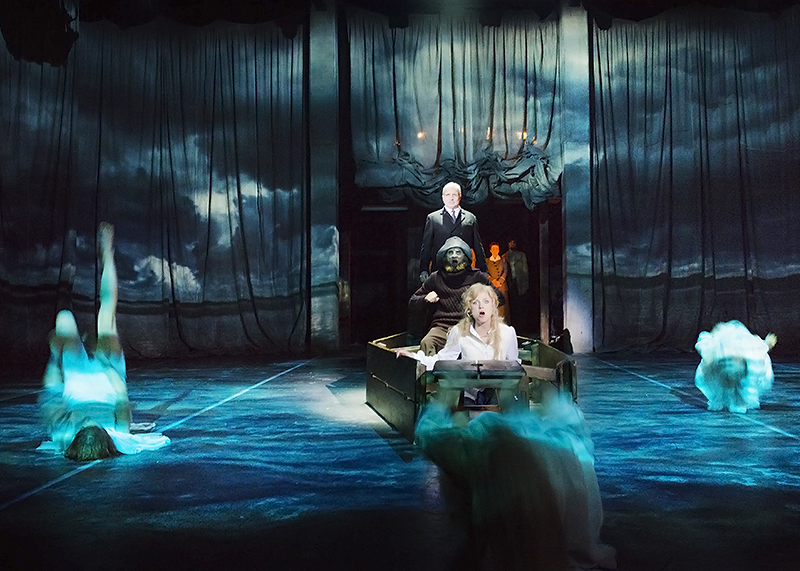 The new Helsinki production is the product of an entertainment machine that specialises in creating perfect nights at the theatre. 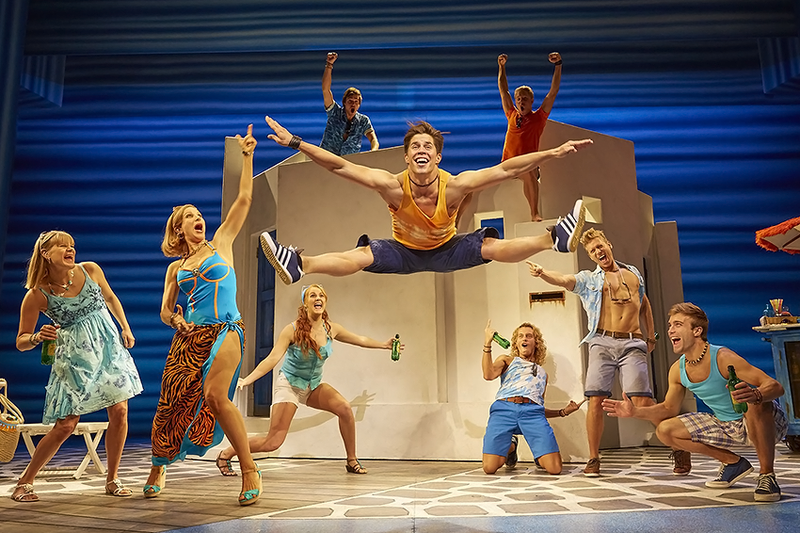 Just like every other production of Mamma Mia!, the one in Svenska Teatern is top-class entertainment. There is not a weak link in sight, every moment is enjoyable. But wouldn't it have been even more fun to see what a new Finnish creative team could have done with the material? Seili, then, took me to the opposite end of the emotional spectrum. Seili is a real island near the Finnish city of Turku. It was first used as a leper hospital, then as a place of confinement for mentally ill people. The musical takes place about a hundred years ago, when all the patients on the island were women. It was not unheard of that people got sent away to Seili for reasons that wouldn't count as mental illness today. In the musical, the main character Sofia kills a man in self-defense and ends up on the island. And for most of the people who were sent to Seili, there was no way out. If Mamma Mia! felt almost too familiar, Seili was a new experience. The only familiar thing was the jukebox soundtrack. Mamma Mia! 's silly plot works well when told via ABBA songs. There, the characters don't need to be all that deep, the lyrics don't have to be written especially for them. But Seili... To be honest, I can't help wishing the creative team would have written brand-new songs for their brand-new musical. The jukebox mixer works well enough, but lyrics written especially for a musical are always able to go deeper. When it comes to a dark story like this, I think even deeper would have been even better. Seili is already heavy as it is, though. Uncomfortably so, but not in a bad way. It'd be alarming if a story with that premise wouldn't be. It leaves you feeling uneasy, makes you think. I think it's great Turun kaupunginteatteri decided to highlight this uncomfortable yet interesting bit of Finnish history. The plot of Seili revolves around a love story, but for me, that didn't feel like the most important aspect of the story. Instead, the show screamed about how unfair life can be. One moment of darkness and the rest of your life is ruined. No second chances. I'm still feeling an emotional overload from yesterday. It was a wild trip. It's incredible, actually, that musicals are thought of as one single genre of theatre. The two shows I saw yesterday have nothing in common beyond the use of songs to tell the story. Mamma Mia! is easy to watch, the epitome of a stereotypical light musical. The action flows forward, you don't have to think, you just watch and listen and enjoy yourself. Seili, then – for a couple of times, I wished some scene would be over already, simply because what was happening onstage was so terrifying. The show is not there to entertain. The first show I saw yesterday left me humming songs I know and love. The second one made me think about the fates of the real historical women who were shut away on the island. In their own, very different ways, both shows are worth watching. Though maybe not during one day... If you absolutely have to see two shows during the same day, try to make sure they're at least both happy or both tragic, that's my advice to you! Mamma Mia! photos by Brinkhoff/Mögenburg. Seili photo by Otto-Ville Väätäinen. Blogiyleisön suomalainen osasto, käykääpä lukemassa myös Hesarin Suna Vuoren Seili-arvostelu. Pitkälti samoilla linjoilla liikutaan. Itse näin maailmankiertueen peräti kahdesti, siitä jäi siis jo jotain pysyviä muistoja... ;) Toivottavasti sinulla on Svenskanin katsomossa yhtä hauskaa kuin minulla oli! Ja toivottavasti saat soviteltua Seilinkin aikatauluusi! Minäkin olin katsomassa maailmankiertuetta silloin kun se Suomessa kävi ja pidin kyllä, elokuva tuli nähtyä ensimmäistä kertaa päivänäytöksessä tätipainotteisessa yleisössä, hauskaa oli. Harmi, että Svenskanissa ei ole lähdetty omille teille, mutta mahtavaa että musikaali toimii ja ilahduttaa kuitenkin. Seilin näkemistä odotan kovasti, välillä jotain erilaista ja omansalaista. Sinun ja Tallen tekstit asettavat riman kyllä aika korkealle. Aikamoinen musikaalipäivä kyllä, ja matkustamiset vielä päälle. Nostan hattua! Tuon riman kohoamisen takia yritän itse monesti vähän vältellä arvostelujen lukemista etukäteen, varsinkin jos kyseessä on teos jota odotan erityisellä innolla... Pidän peukkua, että Seili lunastaa odotuksesi! Sama juttu, tällä kertaa en kuitenaan osannut olla lukematta Seilistä vähän jotain etukäteen. Riman kohoaminen on paha, mutta nyt on jonkinlainen varmuus että Seili kyllä onnistuu hyppäämään yli ilmavaralla.